Click on a user name on the left users list. This will open the private chat plus moderation panel. If this user misbehaves, you may select the appropriate action. Disconnect – A warning, this will remove the user from the chat, but allow them to reconnect in a few seconds. 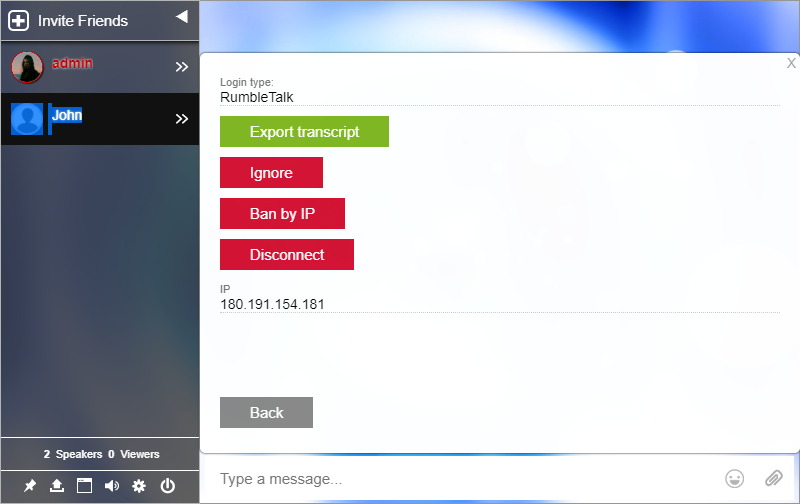 Ban by IP – this will remove the user from the chat, and disallow access from their current IP address. 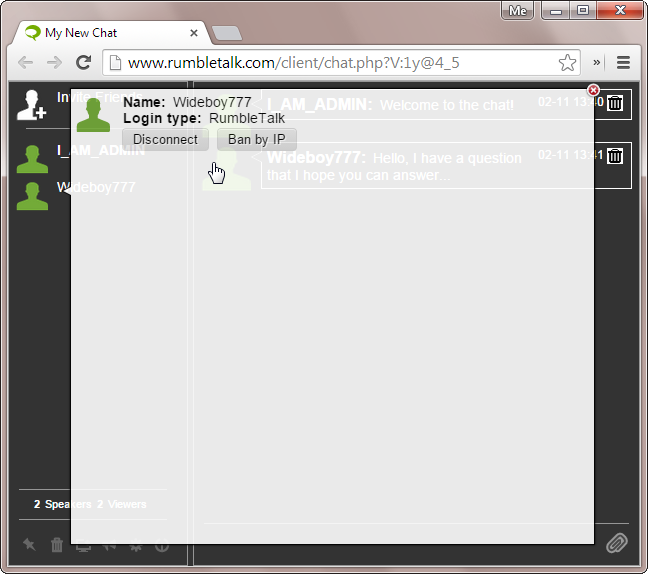 If the user was logged in with a RumbleTalk account, that account will be removed from the chatroom. You can remove users from the Ban IP list by going to your admin panel, to the banned IP list and remove the ip. 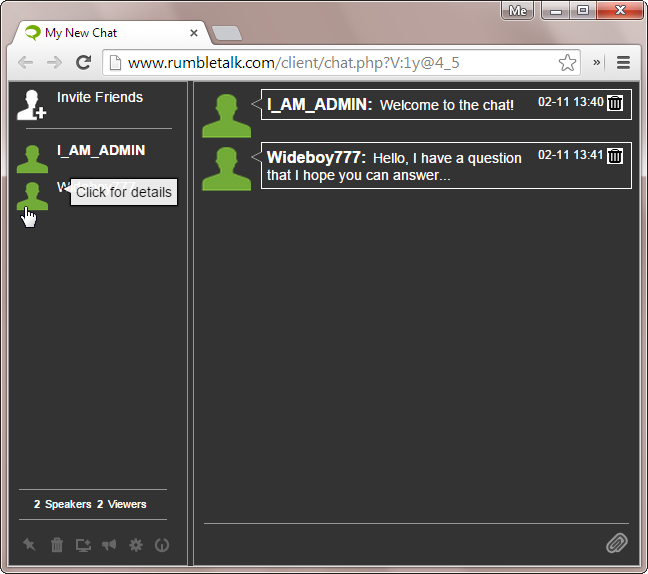 Previous postHow to embed a chat in my site? 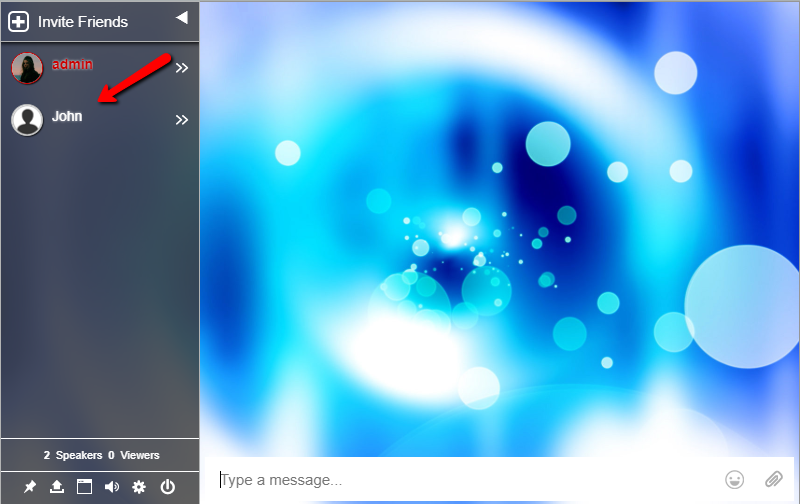 Next postHow to delete a chat message?